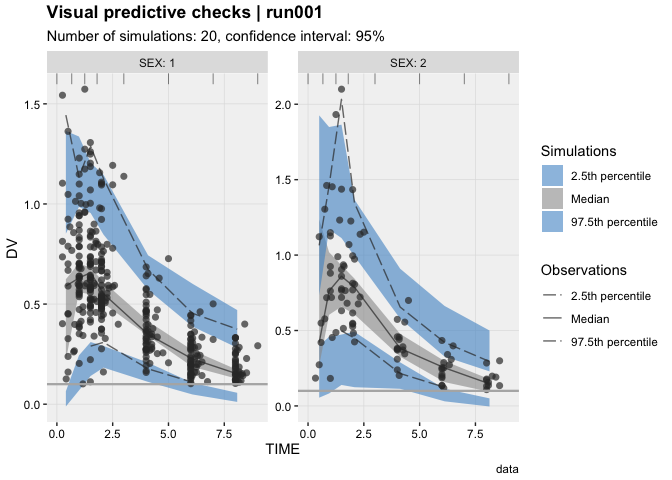 Diagnostics for non-linear mixed-effects (population) models from 'NONMEM' < http://www.iconplc.com/innovation/nonmem/>. 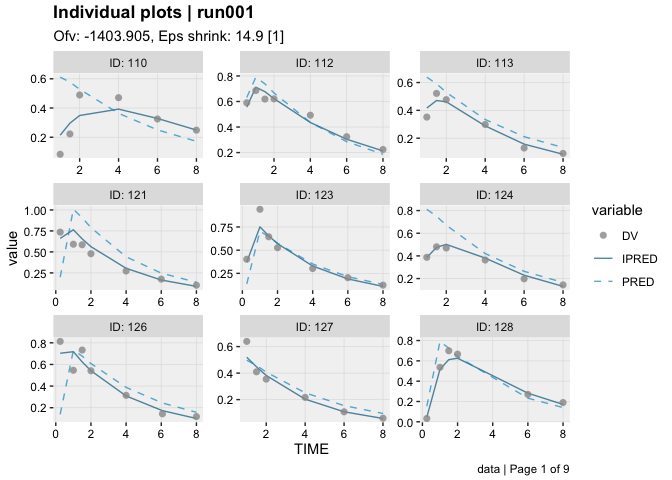 'xpose' facilitates data import, creation of numerical run summary and provide 'ggplot2'-based graphics for data exploration and model diagnostics. xpose was designed as a ggplot2-based alternative to xpose4. xpose aims to reduce the post processing burden and improve diagnostics commonly associated the development of non-linear mixed effect models. - Run warnings                  @warnings   : (WARNING 2) NM-TRAN INFERS THAT THE DATA ARE POPULATION. Fixed bug in get_prm()/prm_table() where off diagonal correlations were improperly computed. Fixed bug in print.xpose_data()where a warning from stringi was returned. Renamed the arguments problem, subprob, method and source to .problem, .subprob, etc. 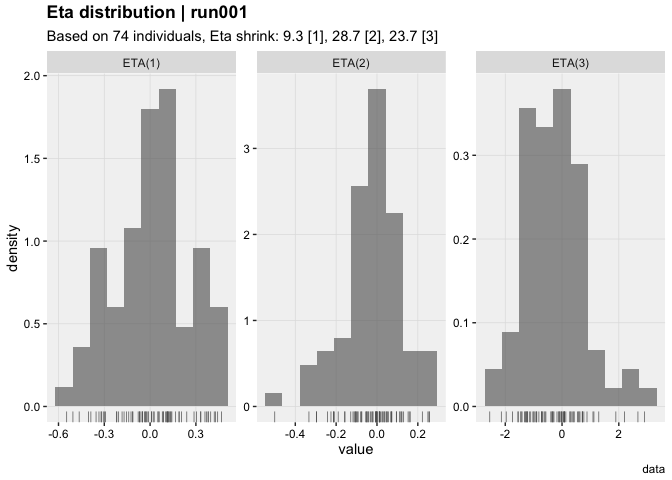 for consistency with dplyr functions. Multiples improvements to the vpc_data() and vpc() functions. Added convenience functions to access data from xpdb get_code(), get_data(), get_file(), get_summary(). 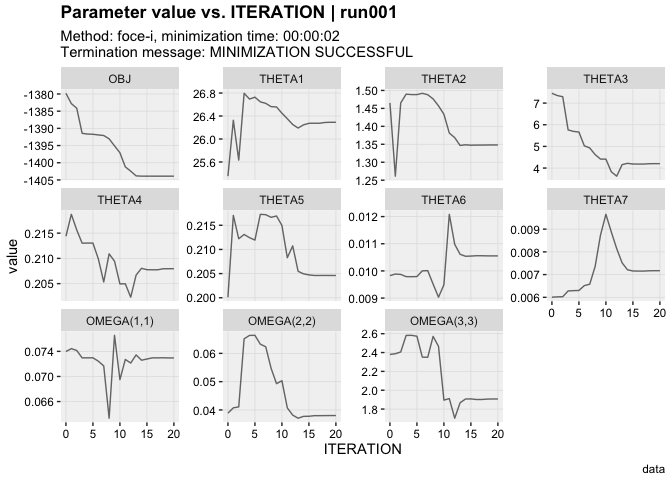 Implemented/improved general plotting functions: xplot_distrib(), xplot_qq(), xplot_scatter(), with convenience function to fetch data in xpdb data_opt_set(). 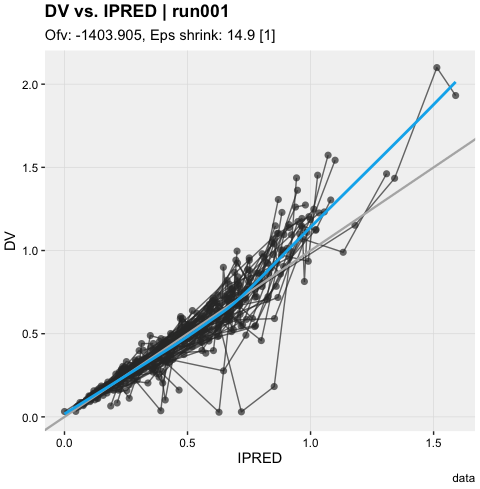 Implemented: dv_vs_idv(), ipred_vs_idv(), pred_vs_idv(), dv_preds_vs_idv(), ind_plots(), vpc(), prm_distrib(), eta_distrib(), res_distrib(), cov_distrib(), prm_qq(), eta_qq(), res_qq(), cov_qq(), prm_vs_iteration(), grd_vs_iteration(). Updated/renamed: theme_bw2(), theme_readable(), theme_xp_default(), theme_xp_xpose4(). Added wrapper around ronkeizer/vpc inside vpc_data().